Even though I always feel lazy when I finish a shower to moisturise my body, I know I have to otherwise my skin gets horribly dry. 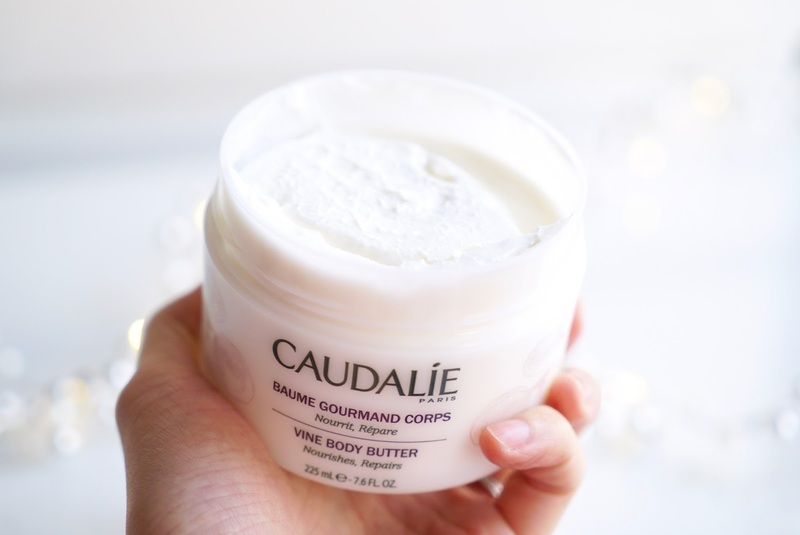 You know the feeling ladies, it's a bit of a chore but this vine body butter (225ml) is such a treat for your skin. First off it seems divine, really natural and luxurious not artificial or overly perfumed. The scent is light and refreshing with a slight citrusy hint from the orange blossom and orange wood. The mix of grape and shea butter makes this gorgeously whipped cream and really pleasant to use. It's the right level of thickness and blends into the skin leaving it feeling satin soft. I popped my pj's on, without feeling sticky afterwards! I received their hand cream last year for Christmas and I can't get enough of hand creams in general. My hands are dry all your round, I get so embarrassed how 'old' they make me look! So a good hand cream is a must, especially in Winter. This Hand and Nail Cream has antioxidant grape seed oil, shea butter and avocado. It feels nice and lightweight to apply, not greasy at all. I don't like hand creams that feel heavy and takes ages to absorb. It also smells lovely of course from the orange pulp, almond powder and rosewater. I'm such a lip balm junkie. My lips are constantly parched and I worry when I used a new lip balm, it's not going to work and leave my lips drier than before! I've used balms from MAC, Nivea, etc but don't last. 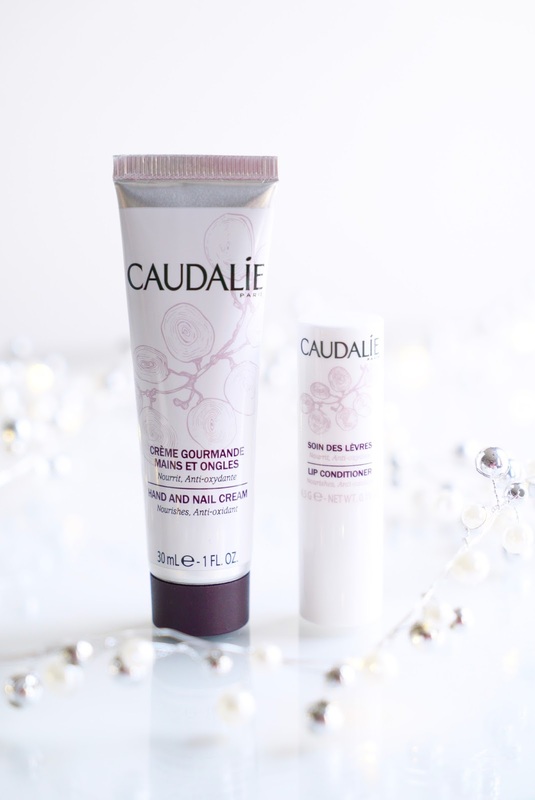 This Lip Conditioner has a slight vanilla scent and 99% natural ingredients. Everytime I apply this balm, it lasts for a good few hours I don't have to apply every half hour or so. It's keeps your lips in good condition and hygienic to apply. 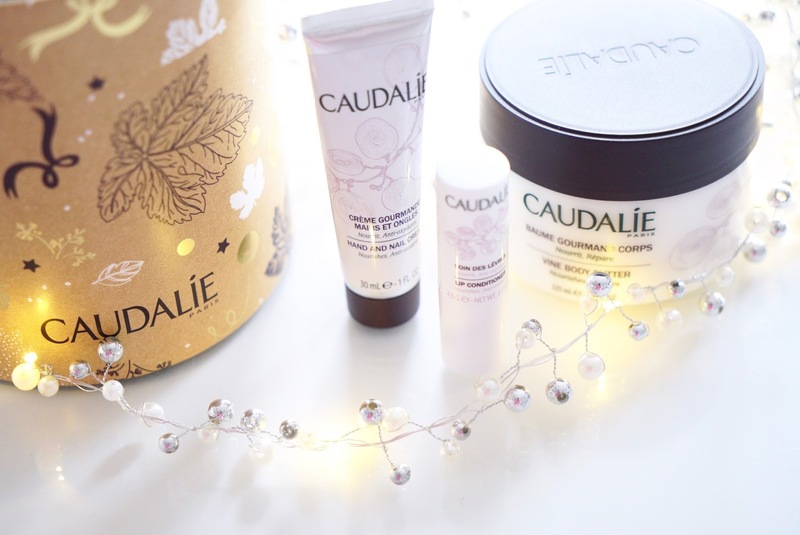 Like with all Caudalie products they're free from parabens, SLS and mineral oils. There's also a current promotion, 20% off the whole site until Tuesday 29th November! There's also free delivery off everyone on Monday. So the perfect time to pick up a treat for yourself or a friend, yay :) Have you guys picked up any bargains this Cyber weekend? Let me know what's on your wish list! 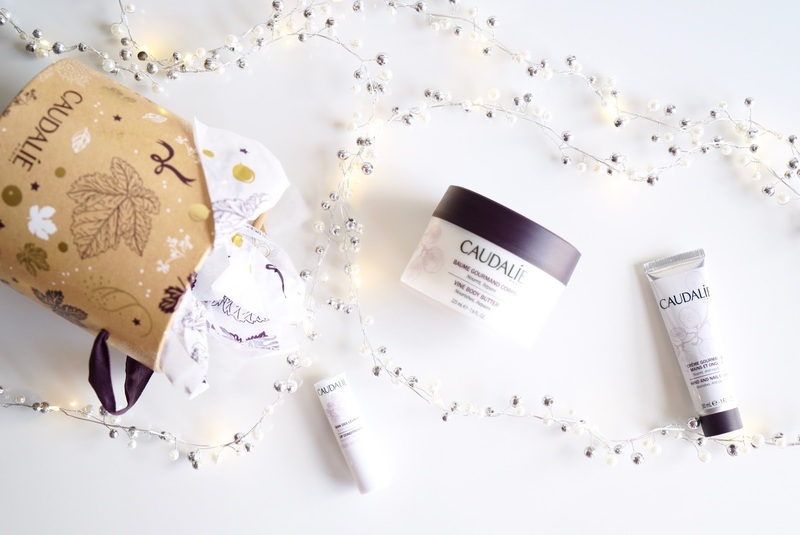 What gift sets would you like for Christmas?